Yes, the cam is back!! This is a very nice and uncommon cam, I'm so happy for the new season! 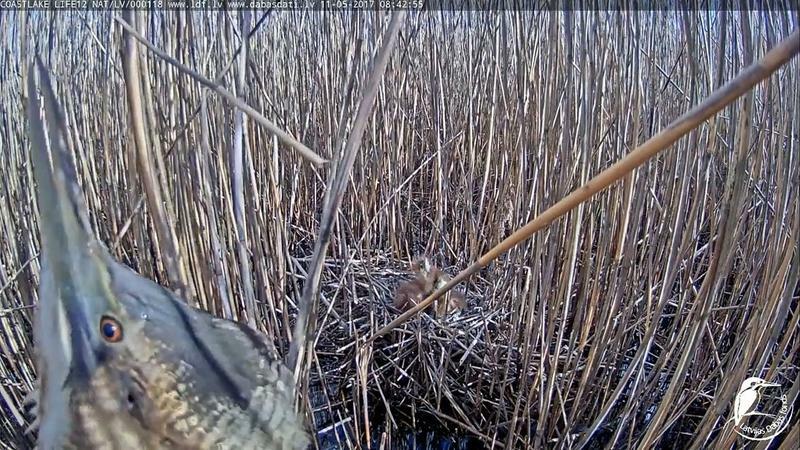 I wonder how they installed the equipment not scaring the bird away, as they write that the nest was found just some days ago. Great news, I'm so glad! How did you find out? I checked regularly. Hopefully all will go well. Marfo I have subscribed to Latvian Dabasfond. So I always know when there is a new camera. How do you subscribe? On Youtube? 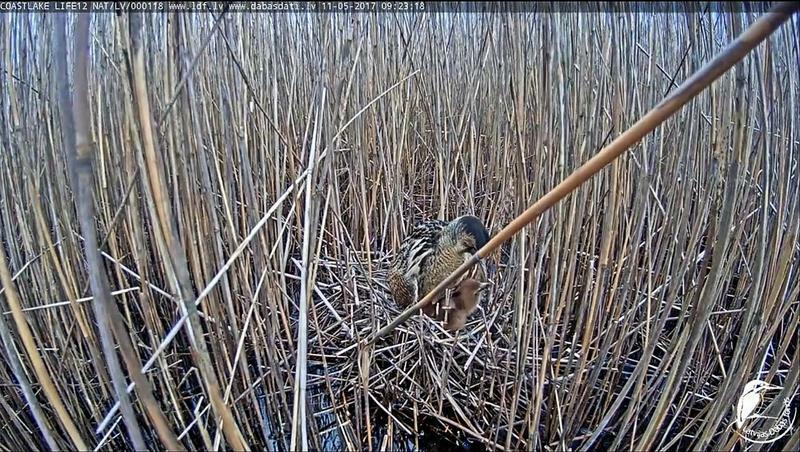 The great bittern webcam nest is located in Latvia in the reedbeds of Lake Engure. 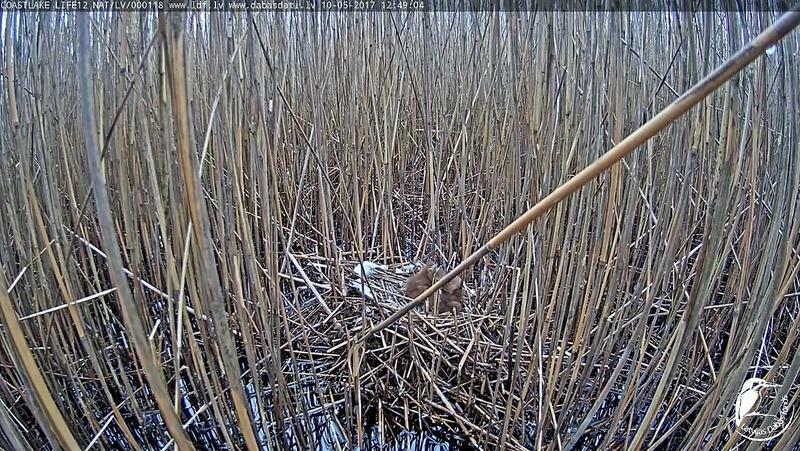 The nest was found on May 3th, 2017 with five eggs in it. 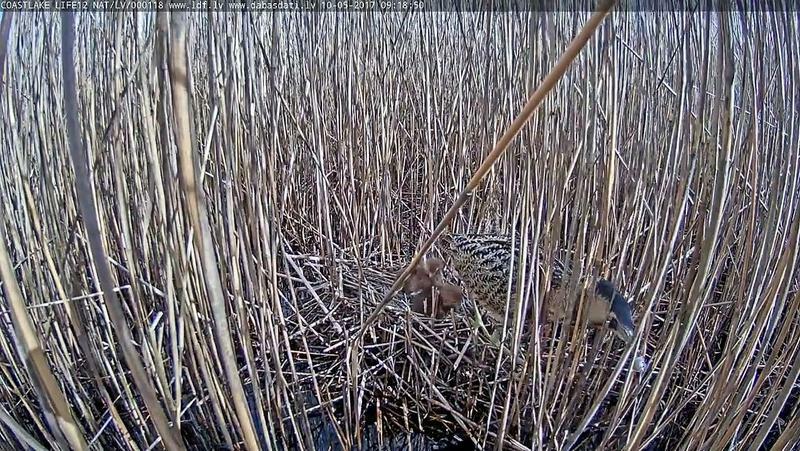 The chicks has hatched in time from 4 to 8 May. 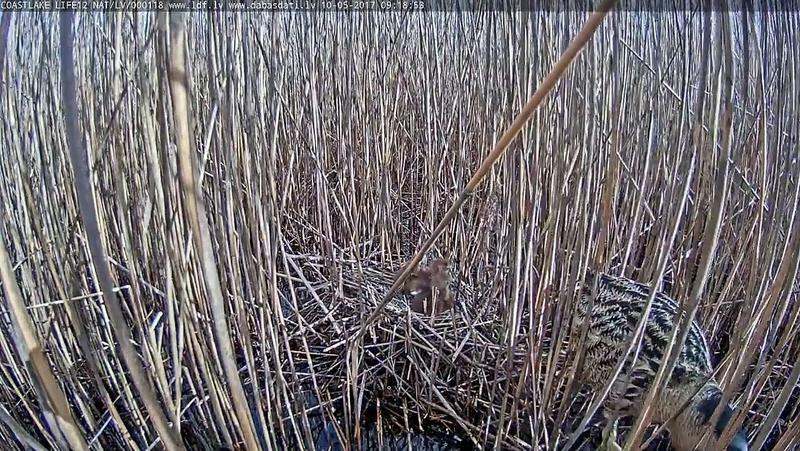 The female is the only one to feed, protect and heat the young birds. 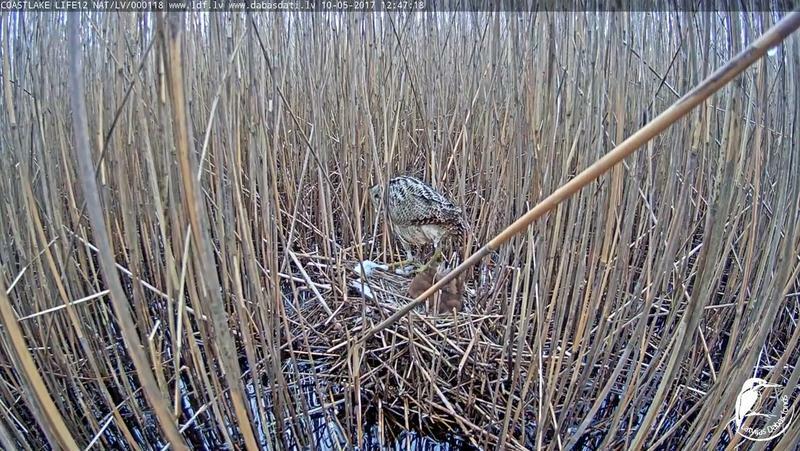 These live cameras operating season will be shorter than we are accustomed to when observing the lifestyle of birds of prey. 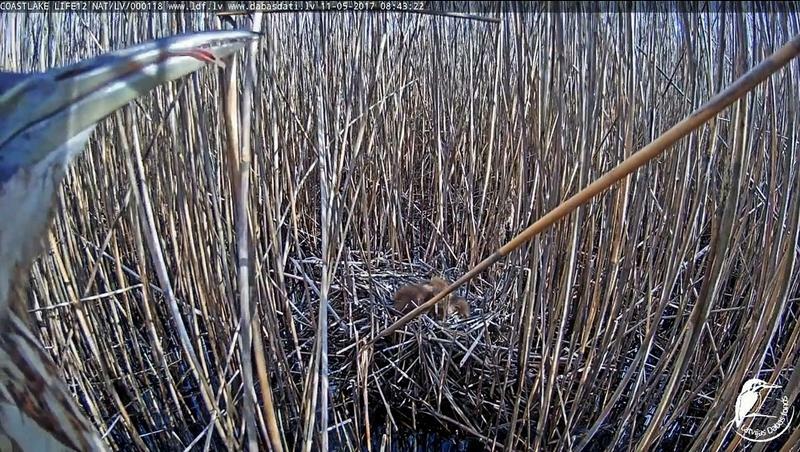 This is because after hatching, the chicks spend about three weeks in the nest and then disperse amongst the reeds. 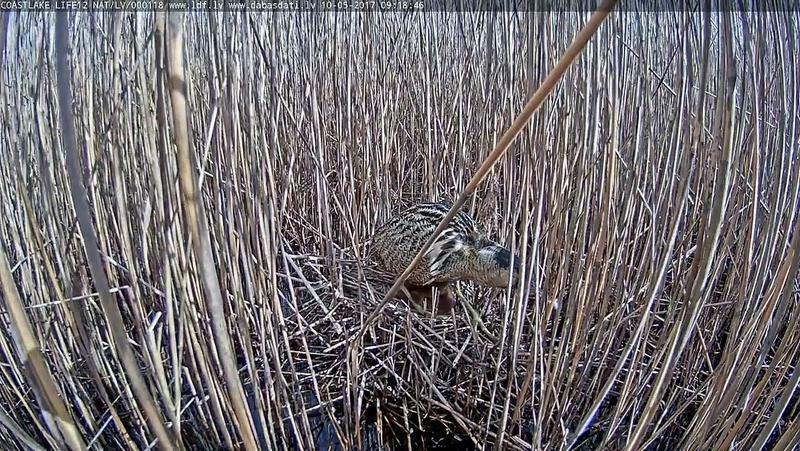 If I am not mistaken, two years and one year ago by the end of May there were no chicks, only clutches of eggs. 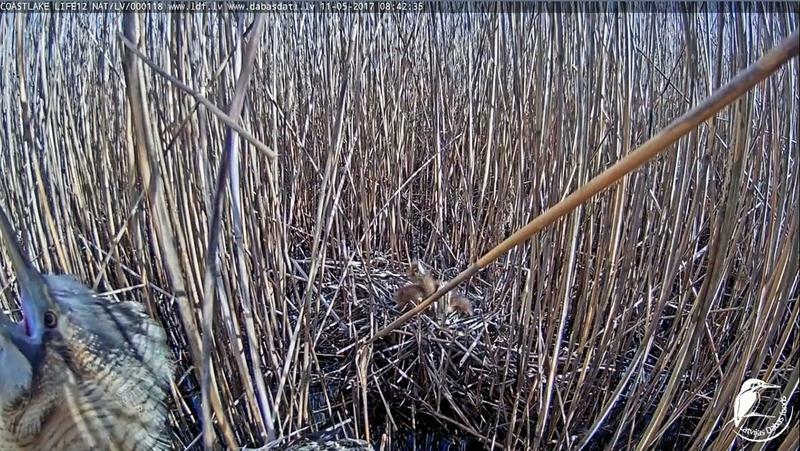 Do bitterns lay eggs several times a season? For a minute I thought there were only 3 chicks left. But then I saw number 4 and later nr 5. Very difficult to see. 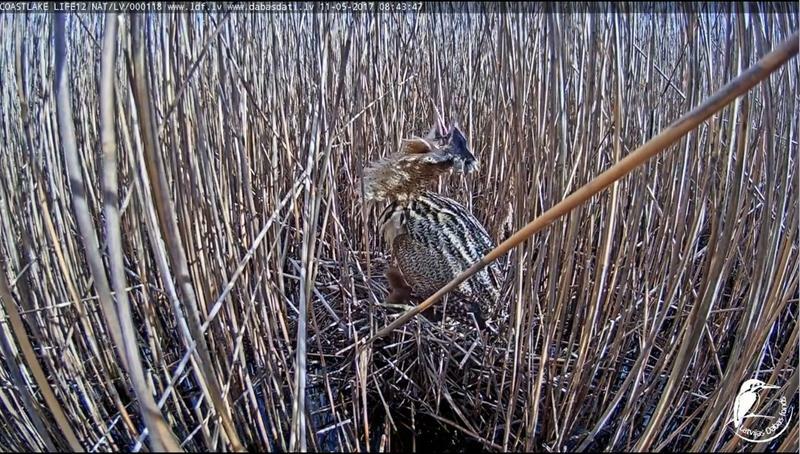 There is an enormous size difference between the largest and the smallest chick. I also believe I can see that the largest have grown since yesterday. They are very quiet now, I'm glad. Yesterday they were making a lot of noise most of the time I was watching. Marfo, you're lucky! I've always counted only three. Today it is the first time, that I saw all the chicks. 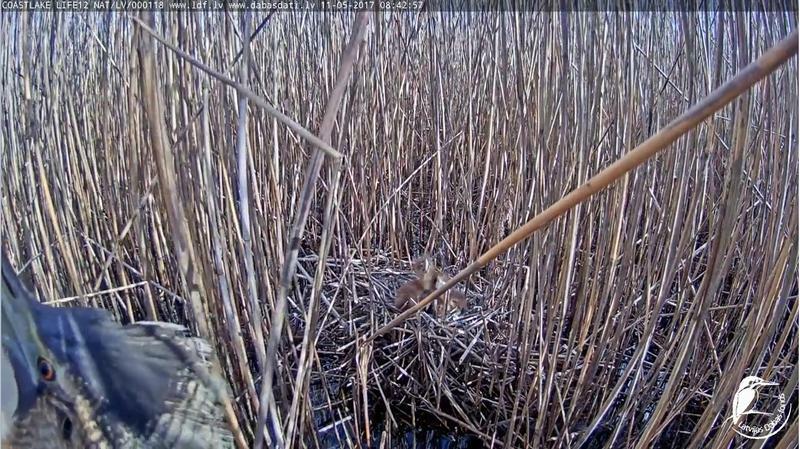 Bearded reedlings (Panurus biarmicus) can often be heard on this cam. Here a recording of one flying close overhead. Four large chicks and a very small one. He hardly gets any food, the large ones are up front when mother brings lunch. I wonder if he will survive. They are constantly "talking" and very funny.